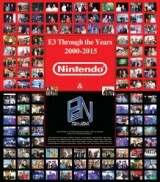 Home > Special Projects, Video Games > A Unique Look: E3 Through the Years 2000-2015 Nintendo & Paul Gale Network. A Unique Look: E3 Through the Years 2000-2015 Nintendo & Paul Gale Network. Paul Gale Network has been covering the video game industry, assisting on and providing projects behind the scenes, and serving as a consultant to companies for many years, and in that time, I have certainly seen a lot. Only one major player however, can say that they have survived for over three decades in both hardware and software, continuously evolving with the times, setting standards for quality, and oftentimes, pioneering innovation…and that’s Nintendo. 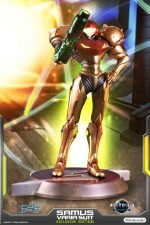 It’s because of this respect and fandom that I have for Nintendo, as well as them celebrating two of their own 30th anniversaries this year (The Legend of Zelda and Metroid), that I thought that for this year’s E3, I would present a gift to all of the people I’ve made friends with there. The people you see in this picture and video are just a fraction of the many that I’ve corresponded with over the years, so to you both mentioned and not…thank you for your friendship and years of incredible memories. Now for the extra surprise: On Day One of E3 2016, Paul Gale Network will be presenting a giant 48″x41″ laminated poster version of the picture seen above, to Nintendo! I hope all present in Los Angeles, Washington, and Japan, enjoy it 🙂 And to all of you reading/watching, I hope you liked my unique perspective of Nintendo at E3 over the years 2000-2015. Alright then, here’s to E3! Wait a second…did you enjoy that music in the video? That was PGN’s David Razavi that composed this original piece, specifically for this video. Give him a Yeah! if you liked his work. Previous post: Prepare your questions now for Paul Gale Network’s annual E3 Q/A. Ask anything during E3 2016 week and get it answered! Next post: Official E3 2016 Q/A on Paul Gale Network. Ask me any single question and I promise to answer!